The Yas Island Yacht Club’s streamlined curvilinear form was conceived as an iconic landmark on the brand new Yas Marina and F1 Track and makes an emphatic contribution to the leisure and hospitality facilities already within the precinct. The masterplan for a new 680 hectare waterfront community of up to 55,000 inhabitants on Yas Island, Abu Dhabi, led by global architecture, urbanism and design practice Broadway Malyan for client Aldar PJSC, has been approved by the Abu Dhabi Urban Planning Council. Approval of the masterplan, which won Aldar PJSC the ‘best urban design and masterplanning project’ category at the Abu Dhabi Cityscape Awards 2011, will result in the creation of a series of distinct communities which will become the main residential areas on Yas Island. 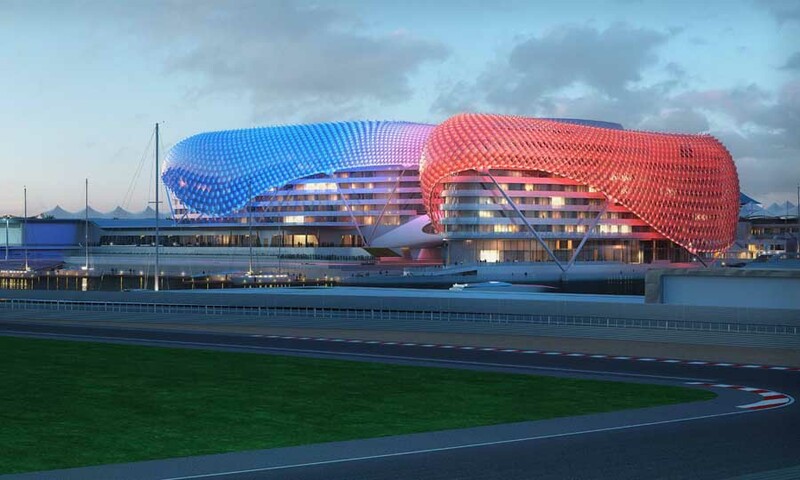 The project is the latest stage in the continued development of Yas Island, Abu Dhabi’s leading leisure and entertainment district, which features the F1 motor racing circuit, signature hotels, Ferrari World Abu Dhabi theme park, as well as the under-construction water-park and Abu Dhabi destination retail development. The masterplan will see the communities linked by a comprehensive open space, road, light rapid transport, pedestrian and cycle network to other notable destinations on the island, with good ‘walkability’ a key factor in the design. It will result in the delivery of ‘complete’ communities, supported by a full range of community facilities including schools, health clinics, extensive sports and recreation facilities, as well as convenience retail and commercial components.